Arsenal have a new problem in hand, as both Alexis Sanchez and Mesut Ozil have demanded parity with Premier League’s top earners. 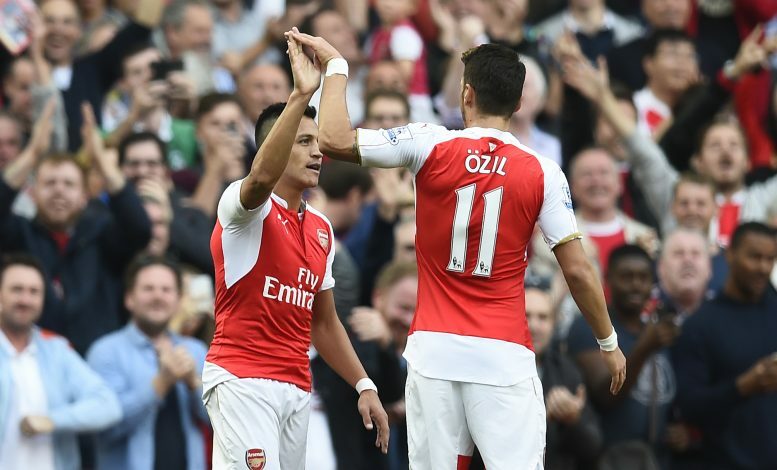 According to the latest report published in Standard Sport, Arsenal’s two most valuable assets, Sanchez and Ozil, are seeking a comparable figure to justify their significant status in the world football, especially in English football’s top flight. The pair has only over 18 months to see through their current contracts, and talks have even stalled recently – particularly with Sanchez – as Arsenal would have no other choice but to overhaul their current wage structure if the demands are to be fulfilled. Ozil is already enjoying the highest paid player’s status at Arsenal on £140,000-a-week, which is £10,000 more than Sanchez. Arsene Wenger had previously made it clear that no player would earn more than the manager given his £8 million per season wage equates to £160,000-a-week. Arsenal, if the recent reports are to be considered, are ready to give a wage close to £200,000-a-week, but this may not satisfy either of the players, amidst rich clubs like Manchester City and Juventus among a host of suitors keeping close tabs on their respective situations. At the moment, Manchester United summer signing in English football at . Manchester United pay the three highest wages in English football, as Paul Pogba pockets the highest wage at £290,000-a-week, followed by Wayne Rooney (£260,000-a-week) and Zlatan Ibrahimovic (£250,000-a-week). Ozil is, at the moment, well settled in North London, and therefore, could be ready to compromise, but Sanchez’s future remains more concerning, with both of them keen to challenge for Premier League and Champions League success. Nevertheless, the club is still hopeful that they will be able to reach an agreement with both players, and are waiting for further developments in the coming weeks.